When should a child have their first eye examination? All children should have an eye examination of some sort before the age of 4 years. This may be performed at a clinic, at home by a specially trained health visitor, at hospital or by an optometrist. It is vital to have this early check-up to ensure that the child’s eyesight is developing normally. Weaknesses can sometimes affect only one eye and are therefore difficult to spot by the parent or the child. If a weakness in one eye is detected early enough though, then with the correct management, the weakness in that eye can often be rectified. But early detection is vital. What does a children’s eye examination involve? The main aim of a child’s first eye examination is to ensure that both eyes are developing normally and both are healthy. Visual acuity is normally measured by seeing how far down a chart of letters you can read. The letters on the chart get progressively smaller and therefore more difficult to see the further down you go. 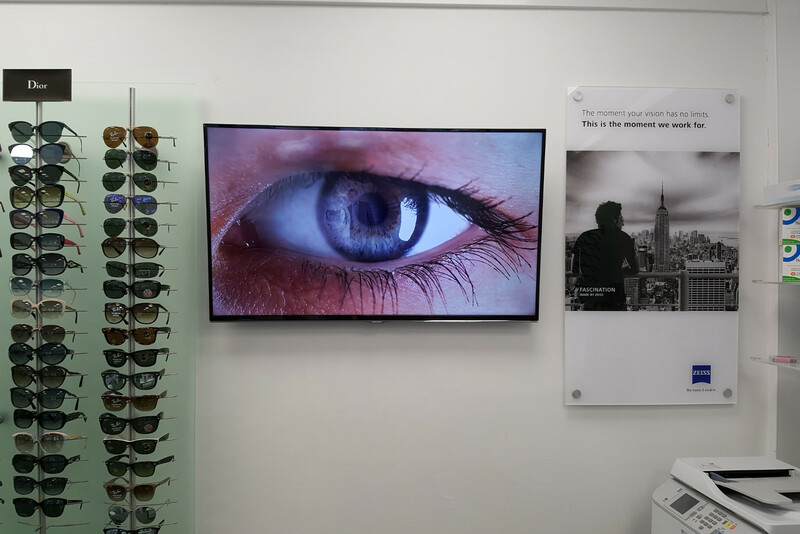 Children may not be very confident at knowing their letters, so Andrew Willetts Opticians uses a computer test chart which allows the child to look at pictures instead of letters on the chart ... and we try to make the test as relaxed and enjoyable as possible. This is done in a variety of different ways but the purpose is to ensure that the eyes are functioning and moving around normally and as a pair. This will also help to ensure good depth perception. If there is a problem with the way that the eye muscles work together, this can lead to eyestrain, headaches, fatigue, double vision or a squint. Checking colour vision is more important as children get older and have to start thinking about career choices. Colour defects are far more common in boys than girls (approx 1 in 20 boys and 1 in 200 girls). Therefore, whilst a colour defect cannot be cured, it is important to be aware of any defect and plan career choices accordingly. We can offer advice as to which careers may have specific colour vision requirements. Children under 16 are entitled to a FREE NHS sight test.